My last post of this year! I don’t know where the year has gone, it seems to go quicker and quicker every year. We have had our ups and downs this year, but we are blessed to have each other, a roof over our heads, food on our table and family who loves us. I pray that 2012 ushers in blessings for you all and a wonderful new start! Speaking of new starts, I know that many people have already or will be setting resolutions for themselves. I don’t go crazy and like Lent, instead of taking away, we try and add something positive in to our daily lives. One thing we found this year, was that between the very busy schedules we keep at work, that once we were home, we didn’t always set aside time for each other until we went to bed, we always talk before we go to sleep. Well, that is something that is changing and no matter how many papers there are to grade or jobs left to finish, we are going to set aside some time for each other every evening. The way that we are going to do this, is by taking an idea I saw on the Inchmark blog. She and her husband come together every evening over a cup of tea, they either talk, or play a game. 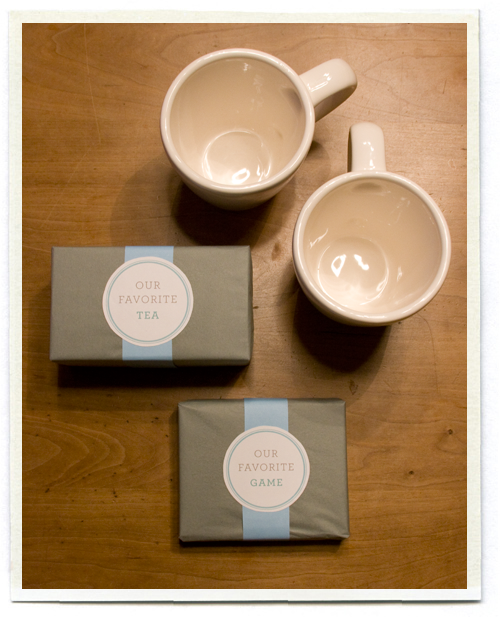 We love playing games and usually have something in paper form, i.e. suduko on the go, we also love just to chat to each other. This was their gift to their family this year. Making sure that other things do not take over and we carve out time for each other every evening is going to be my resolution this year. Because, all that other stuff, is just stuff, it really doesn’t matter. This entry was posted in The Holidays and tagged happiness, holidays, inchmark, Mr. Michie on December 31, 2011 by jennifermichie. 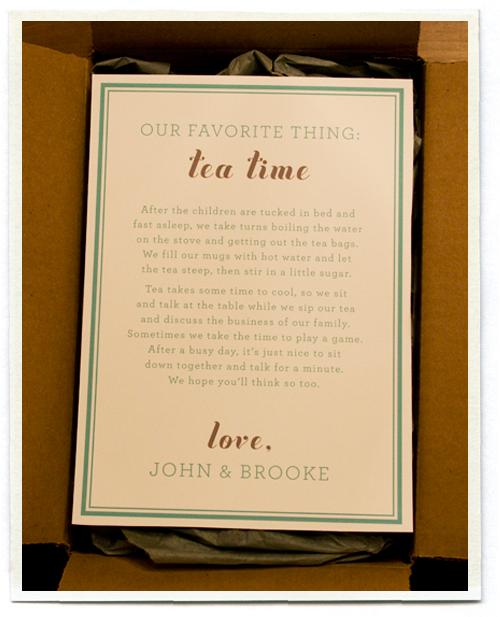 What a wonderful and beautiful idea….and I love tea, too! !